There are so many priorities that must be considered when choosing your place to stay in the Great Smoky Mountains for your upcoming vacation. Consider these benefits as you select a motel that provides the best value for your dollar. 5. Classic style motel. Harkening back to the motor lodge days, Tennessee Mountain Lodge has been local, American family-owned for multiple generations. Repeat guests have visited this location for many years, bringing additional family with them as they grow and expand. They know that each standard room has the retro charm of paneled wood and ceramic tile, and also a much larger floor plan than many in the area. 4. Comfortable, clean and convenient. Not modern or fancy, but all rooms here are well-maintained, and all have been recently updated with new carpet and bedding. Each includes the simple basics: a flat screen TV, microrefrigerator, microwave, and free WIFI. This competitively priced lodging is a great value for budget-minded travelers, and also has the advantage of its outdoor surroundings. In addition to a heated outdoor pool, the motel is located creekside. 3. Creekside. The property faces the Parkway in front and overlooks River Road and the Little Pigeon River as its backyard. Families can swim in the outdoor pool with an adjacent kiddie wading pool. Or choose to relax at the riverbank picnic area, feed the river ducks, and enjoy the water rushing past the rocks of the natural waterway. 2. Courtesy. The Tennessee Mountain Lodge family members are original Sevier County locals, and have offered Southern hospitality in this area for several decades. Friendly and knowledgeable, they have watched Pigeon Forge evolve and grow into the major tourist destination that it has become today. If you want a local&apos;s candid opinions and experience regarding attractions and restaurants, just ask! 1. Centrally located and close enough to walk….everywhere! One look at Google Maps shows just how much is available to explore with no need to drive, and no parking fees. Hungry? Supermarket, convenience stores, and multiple restaurant choices are all nearby. Want to shop? Souvenir stores of all types, candy and ice cream treat shops, and banks are also available. The Old Mill Historic area, Patriot City Park and its walking trail, miniature golf courses, go-kart tracks, a trampoline fun center, and Dolly&apos;s Dixie Stampede Dinner Theater are all just a short stroll away. If you want to venture farther, the Fun Time Trolley stop is located in front of the motel. A few quarters can transport you to Dollywood, Gatlinburg, and many other surrounding adventures. 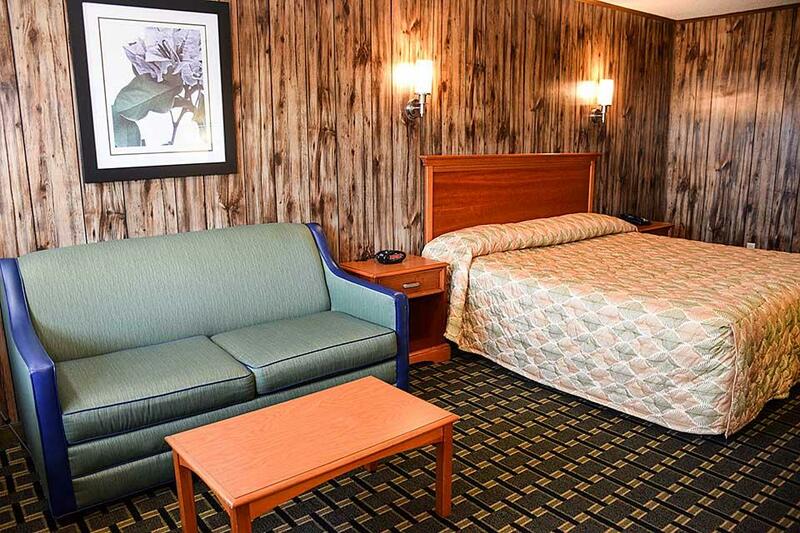 This motel is located in the heart of all the action the area has to offer. Inexpensive? Absoultely. Cheap? Never. For truly the best cost value motel available in Pigeon Forge, make your reservation with Tennessee Mountain Lodge today.